This recipe if from my Nordic Vegan Cuisine feature I did for Fresh Vegan/View magazine. (Go straight to Issue No.5 here, if you are curious). Fruit cordials are relatively easy to make. I prefer mine without any sugars, and I use them for creating cocktails or as a hot comforting beverage during a cold or flu. Basically you can throw whatever spices and herbs in them that you’d like, then just let the fruit simmer on very low heat for a couple of hours. You can make a cordial from any fruit, berry or spice. Add water and frozen lingonberries to a pot. Add ginger, cardamom and orange peels. Bring to boil, and reduce the heat immediately and let the berries and spices gently simmer under a lid for 1 - 1,5 hours. Let the cordial cool off, then strain by using a fine mesh colander. 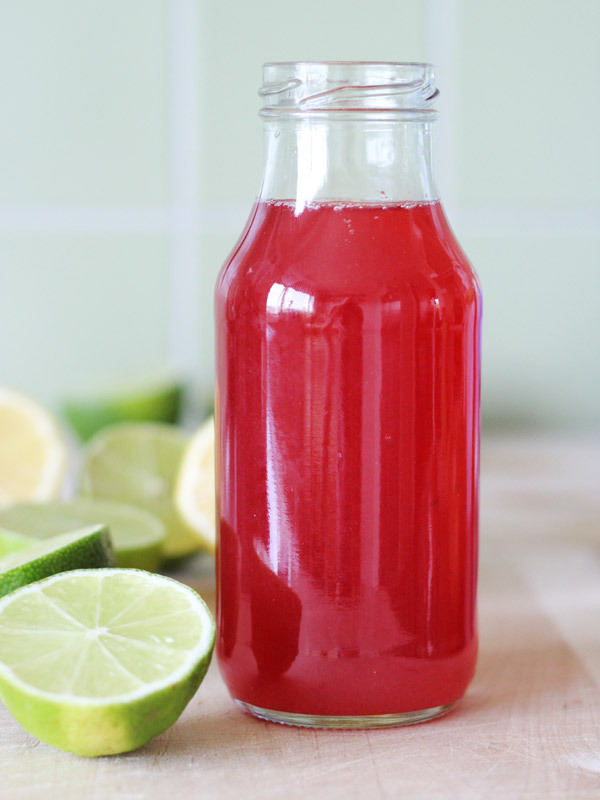 If you find the lingonberry cordial too sour for your liking, simply sweeten it using coconut nectar sugar. If so, ensure the liquid is not too hot, since coconut sugar should ideally not be boiled to retain all it’s nutrients. Use in the cocktail recipe with vodka and Cointreau, or as a sparkly welcome drink by adding 1⁄3 of lingonberry cordial to champagne glasses and 2⁄3 of champagne or a cava. Store in a sterilized glass bottle in the fridge. If not used within a few weeks, freeze it as the cordial does not contain any preservatives.